It is almost criminal how long it's been since I properly did my nails. As someone who quite often paints them up to twice a week, my almost month long absence was extra abnormal. I just wasn't feeling into anything. Luckily I snapped out of it when a few of the new Sally Hansen Complete Salon Manicure Black to Basics Collection arrived. 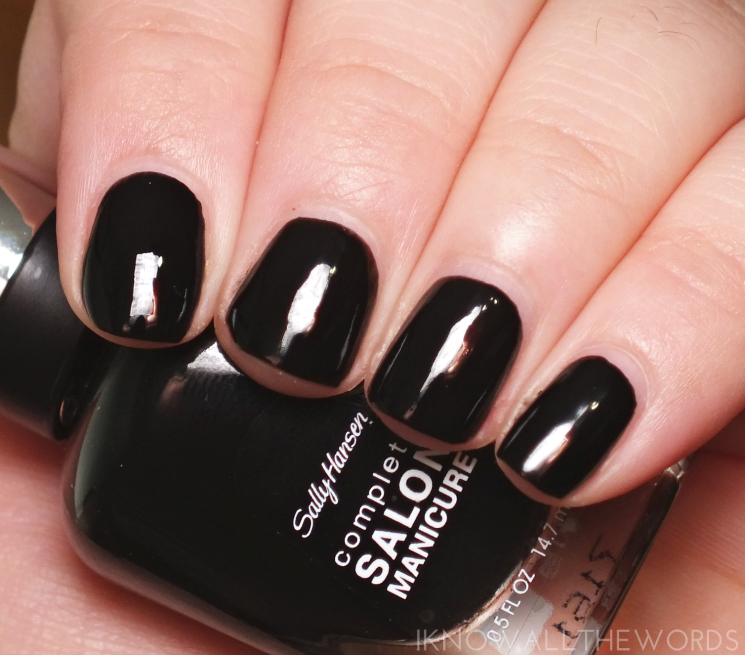 Oddly enough, it was the mono-chromatics that got me feeling polish again, and even got me into a bit of nail art. 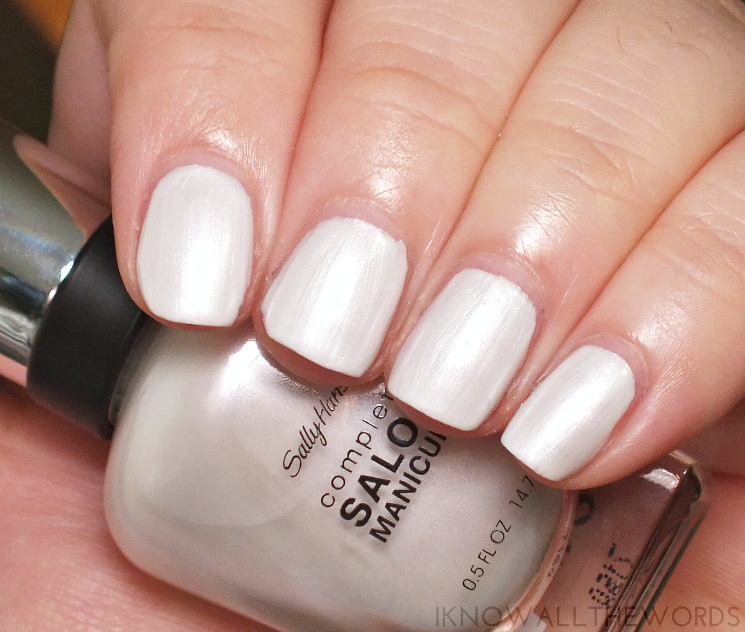 "Sally Hansen celebrates classic, chic sophistication with a new Canadian-exclusive monochromatic collection. The NEW Sally Hansen Complete Salon Manicure™ Black To Basics collection was designed in Canada and inspired by Canadians’ penchant for minimalism and our desire to subtly stand out, with a refined approach to style. The collection features 8 refined shades from white to grey to black with the beloved Complete Salon Manicure™ formula infused with Keratin Complex for stronger nails." It's not very often that a big brand releases a Canadian exclusive collection, but the Black to Basics Collection is all ours, apparently. Now, I do love the idea of the shades featured (whites, greys, and blacks) but I didn't know Canadians were so in love with minimalism? The more you know, I supposed. The collection features eight shades ranging from pure white, to the deepest black and a bit of everything else between. Pearly Whites: soft white with a semi-matte, pearl finish. I'm not usually a fan of the streakiness that often accompanies pearl shades, but this wasn't too bad in that department and applied very evenly. Two coats. All Grey All Night: pale, cool grey cream. 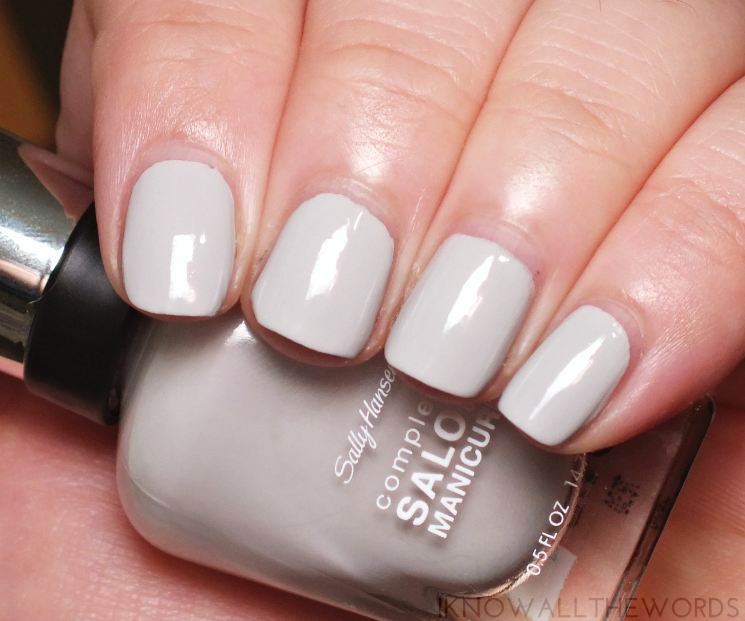 A perfect shade for all the grey fans (go grey!) with an easy formula. Two coats. Hooked on Onyx: jet black creme. A must have in all polish collections. This is an even better option, as it's almost perfect on the first coat. Two is best though. I haven't dabbled in nail for.... a looong time, but these shades were just asking for a little something. I contemplated creating a marble effect, but in the end went with something even easier. I used Pearly Whites as a base on all nails, then laid out a few dabs of each colour and picked them up with a stamper. 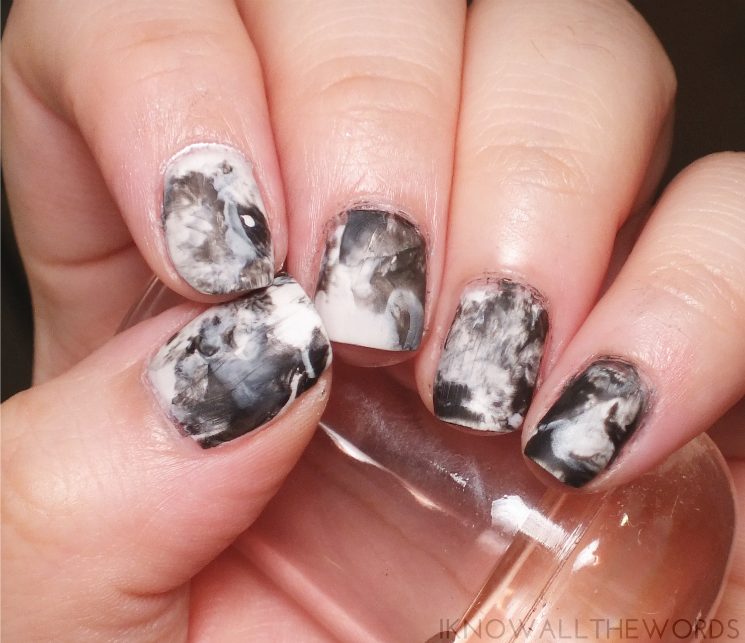 I then dabbed it on each nail to create a smokey, stone-like creation. I opted to mattify the look with Essie Matte About You, bu a glossy topper would work just as well. I do recommend using a liquid latex / protectant around your nails though, as cleaning up the black polish was more time consuming that I would have liked. Ovverall, a great collection for minimalists or those looking to add more basics to their stash. I love that the shades also work so well for nail art. 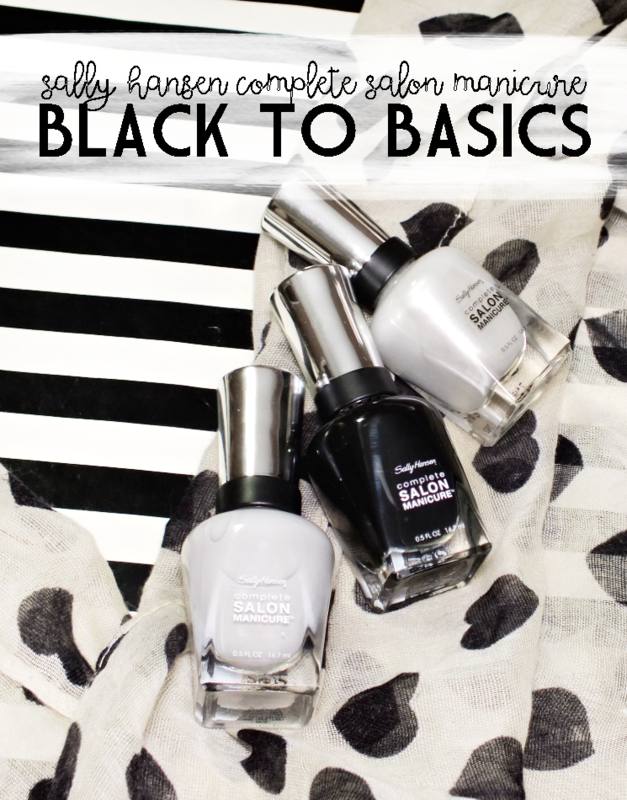 The Black to Basics Collection can be found in stores and / or online from Rexall, Walmart, London Drugs, and Shoppers Drug Mart stores across Canada. What do you think? Are you a fan of minimalist nail shades?